I've been dreaming of a monochrome Christmas this year from the gift wrapping under the tree to the kids stockings I had a theme in mind and wanted to stick with it. 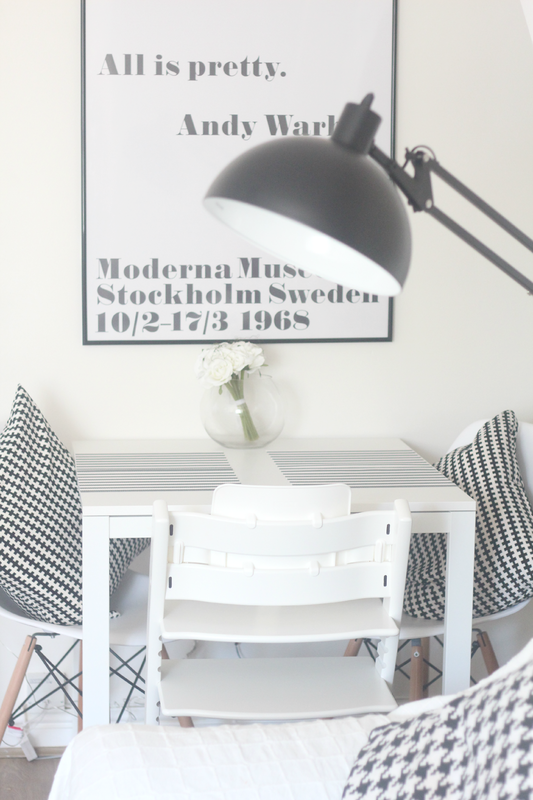 As some of you may have noticed I am a huge monochrome addict and my house is slowly turning into a monochrome dream! Goodbye magnolia walls and corona pine furniture. One thing I've left till last minute this year is laying the table. I've never been one to make a huge effort with laying the table I guess thats because we never have anyone round and enjoy it together as a family. But if I were to have other family over then I would most likely go all out and of course that would have to fit in with my monochrome theme too. I would however need to buy some stackable chairs as I have downsized our dining table and we no longer have a set of 4 chairs. Having stackable chairs will easily solve that solution meaning I can store them in the attic or shed when not in use and bring them out on occasions when I have guests over. 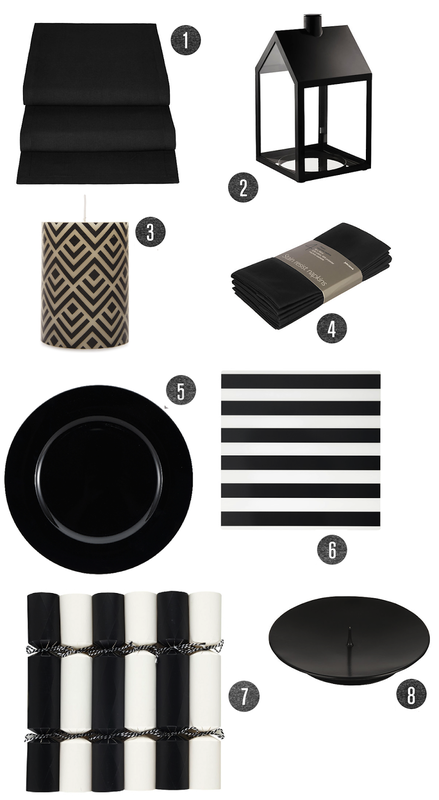 I have been looking for monochrome table decorations and accessories and below are some of my favourites. I have however left it too late to go out and buy anything so I'll have to make do with what I already have but I'll definitely be doing a monochrome table setting next year. 1. Start with a tablecloth or runner and base the table with placemats and coasters. 2. Layer plates and bowls with the first course on top followed by each course underneath this will save you from getting plates out of the kitchen mid meal and everyone can help themselves. 3. Have a small station nearby with drinks so people don't need to leave the room and can help themselves. Have red and white wine on the table ready. 4. A striking low centre-piece will encourage conversation amongst your guests as they'll be able to see each other. 5. A small gift for everyone or name setting is always a nice extra touch.